Beautiful Custom Built Home on a corner lot In Pheasant Ridge! 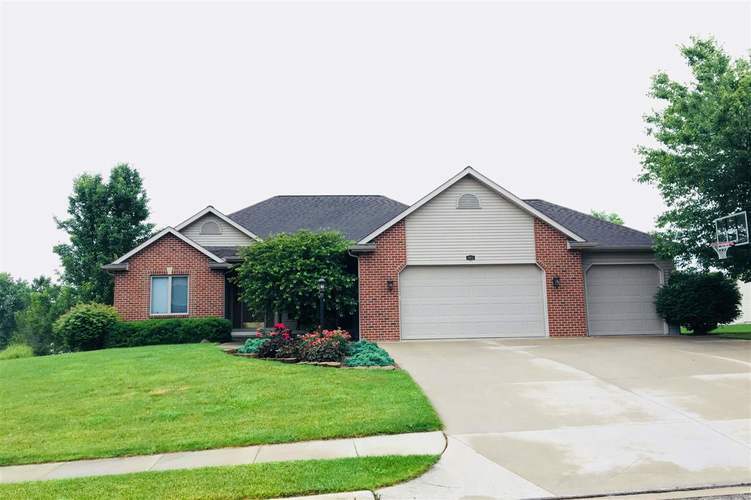 This wonderful floor plan includes 4 bedroom 3 full bath on a finished basement! The basement boasts daylight windows and an entertainment theater system that will stay. Surround sound speakers throughout the house and central vacuum system! This home has everything including reverse osmosis water system, wood blinds, 3 car garage, solid doors, and a fireplace, fantastic landscaping, and a Koi pond with waterfall! Pheasant Ridge is a very sought after neighborhood with Eisenhower Elementary, Sidewalks, City Utilities, and a close trip into town! Don't miss this one! Listing provided courtesy of Hamilton Real Estate Group LLC.